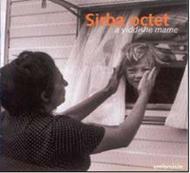 The Sirba Octet was formed in 2003 and born from a desire to perform traditional Romanian and Yiddish melodies. These two cultures share an errant past as well as a particularly rich musical culture. Members of the ensemble, several of whom are members of the Orchestre de Paris, first made the group known for their performance of Un Violon sur les Toits de Paris. Recent members include Laurence Allalah, cellist and David Gaillard, viola solo, both musicians of the Orchestre de Paris. They are joined by singer Isabelle Georges. Although some melodies are more well-known to the audience than others, a priority is placed on balancing improvisation and with classical form, therefore keeping interpretive authenticity and emotion intact. In 2006, the Sirba Octet was awarded a grant by the European Association for Jewish Culture. This grant has helped make this recording possible. �Yiddish Music has always been an important part of my life. This music brings back childhood memories of my mother�s perfume and of family reunions where my grandmother and aunts would ask my father and myself to play Yiddish songs of their youth. Without sheet music to be had, they hummed these tunes from memory while my father and I played them on his guitar and on my violin. I would like to share with our audience moments of joy and human interaction, interwoven with love and emotion, by way of melody and dancing rhythms. Listen..."